Unit A of Villa Irene has 4 beds plus a cot. (On request you can add, if available, another room with 3 beds and private bathroom). Dimora quiet with large garden, lawns and porch furniture. The Villa, all on the ground floor, is independent and offers exclusive access to its customers. The interiors are spacious manicured. The structure has a double bedroom with direct views of the garden and large living room with sofa bed and air conditioning. The living-dining room is very large, with fireplace, ceiling fan, dishwasher and air conditioner. All rooms have heating with radiators. The Villa offers the possibility to eat outside under a large canopy and the shade of a centuries-old carob tree in the area equipped also of barbecue. And even fresh fruit (figs, oranges, prickly pears, plums, apricots, pears, mulberries, etc.) can be enjoyed straight from the tree. Villa Irene is close to the Ionian sea clean and transparent with long sandy beaches and pine forest close to the sea. Important archaeological area, close to Sassi, European Capital of Culture 2019. We are in a region all to discover with many natural beauties (sea, mountains, green hills, castles, ravines, ancient villages and charming, ...), and again history and traditions, and particularly hospitable people. From the Autostrada Adriatica A14 highway, take the Taranto exit. Take the Ss 106 Ionica state road to Metaponto; at Località Pisticci, turn to km 439,200 for Pisticci (exit MARCONIA). 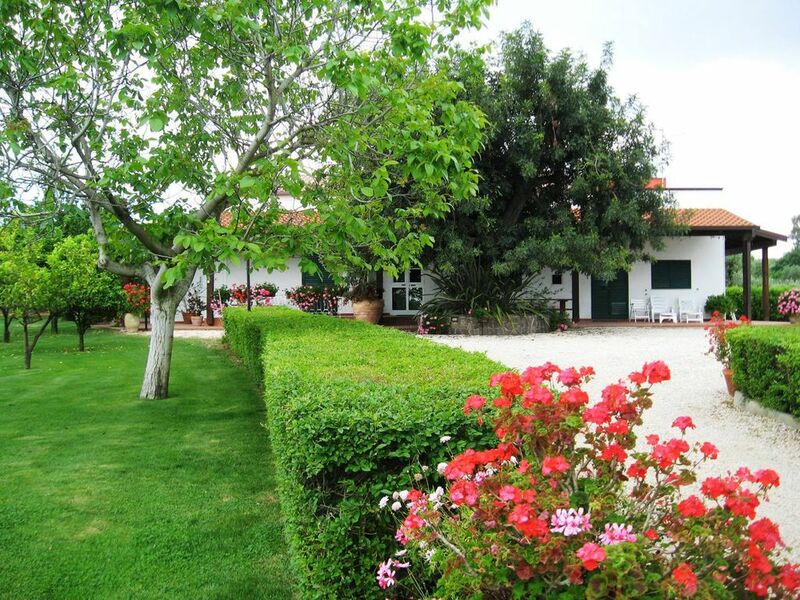 After about 14 Km, you’ll find Residence Villa Irene to the right in Contrada Terranova. From Naples, take the Autostrada SA-RC (A3) highway, and take the exit for Sicignano/Potenza heading to Metaponto. Exit at Pisticci, drive into the town and follow signs for the beach. After about 5 km, you’ll find Villa Irene Residence on your left. Riding to 200 meters, 4 Km distant from Tennis Club with tennis courts, swimming pool and football field. Tipical restaurants in the Pisticci's storical centre. Golf courses with 18 holes in Metaponto and Riva dei Tessali. Matera's Sassi. Historical park of Grancia with shows in the open air. Spectacular to Castelmezzano the "Flight of the Angel". Archaeological museums in Policoro and Metaponto. Pollino's mountains in one hour by car.